Man Yee Building, the Group's flagship property, offers over 290,000 sq ft of office space, a 4-level shopping arcade and a 3-level basement car park. 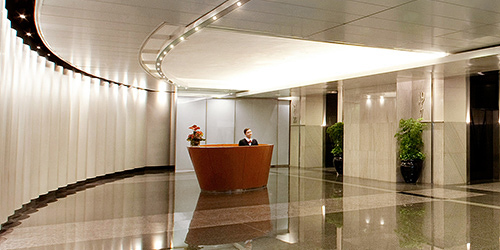 The building’s layout, services and facilities are second to none and are designed for the specific needs of those in the financial services sector. Located in the heart of Central District with entrances on both Des Voeux Road and Queen’s Road, Man Yee Building is easily accessible from all modes of transport.